10 ноября в 18 часов состоится концерт "КЛЕЗМЕРСКИЕ МОТИВЫ" в исполнении Ольги МЕЛЕЩУК и музыкантов Польши и Израиля. 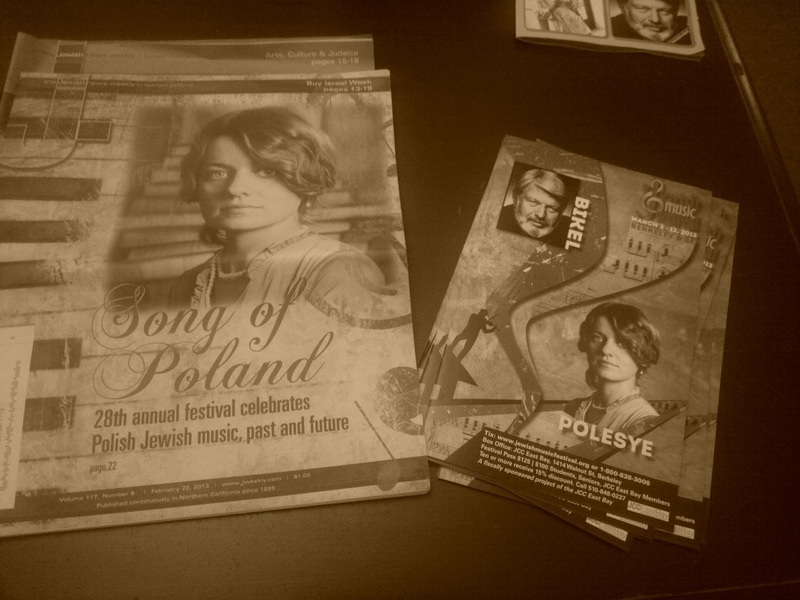 JEWISH POLESYE IN SINGER FESTIVAL IN WARSAW! Polesye Project - TARGET Free Thursday at the The David Rubenstein Atrium in Lincoln Center, NYC from Polish Cultural Institute NYC on Vimeo. didn’t start singing that music professionally until she moved to Israel, more than 1,500 miles away. 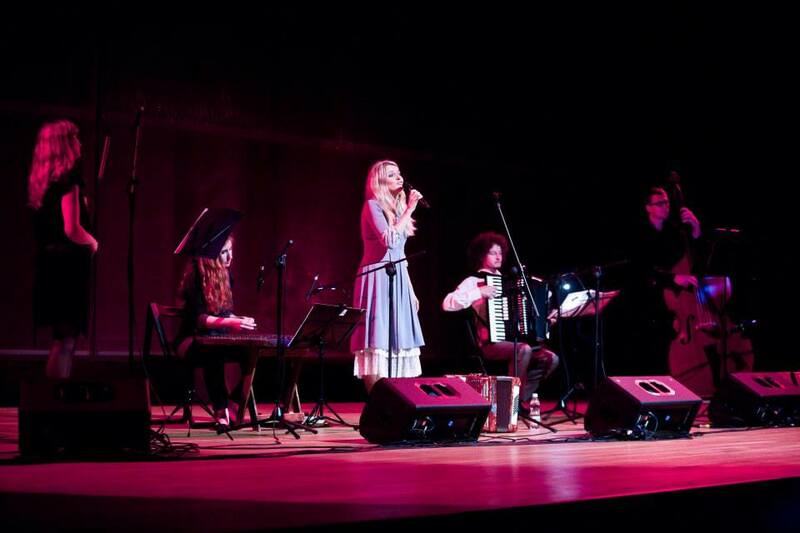 There, Mielesczuk and her Jerusalem-based band, Polesye, began performing the forgotten Jewish folk songs of her homeland. Those songs recall a vanished Jewish culture that thrived in Poland for a thousand years. 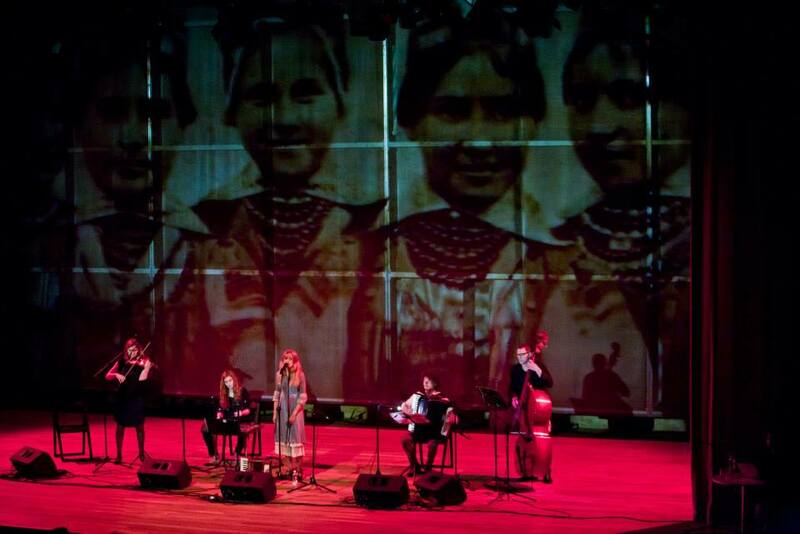 Polesye (named for Poland’s northern marshlands) will headline opening night of the Jewish Music Festival on March 2 at the Berkeley Repertory Theatre. The 28th annual event is co-sponsored by the Taube Foundation for Jewish Life and Culture, in association with the S.F.-based Israel Center and the consulates of Israel and Poland. This year’s festival includes eight musical and educational events at various East Bay venues from March 2 to March 12. Sharing the stage with Polesye on opening night will be journalist Ruth Ellen Gruber, who will lead a discussion addressing Jewish life in Poland today, and Polish jazz trio Shofar, which turns Jewish folk melodies into thrilling, avant-garde jazz rants. Other artists performing at the festival include American klezmer revival pioneer Michael Alpert, Bay Area–based Real Vocal String Quartet and True Life Trio, and 88-year-old legendary singer-actor Theodore Bikel, teaming up with Yiddish singer Shura Lipovsky of the Netherlands. There’s a reason why Polesye and Shofar landed coveted opening-night slots. As its central theme this year, the festival is celebrating the once thriving, nearly destroyed and now resurgent Jewish life of Poland. Some 8,000 Jews today call Poland home, down from the 3.4 million before the Holocaust. The two bands form perfect bookends, one honoring tradition and the other paving new musical pathways. In April, the world marks the 70th anniversary of the Warsaw Ghetto Uprising, the boldest armed resistance Jews demonstrated against their Nazi oppressors. In addition, 2013 also commemorates the 100th anniversary of the famed ethnographic expedition of 1912 to 1914, during which S. Ansky (author of the Yiddish play “The Dybbuk”) and his fellow researchers collected hundreds of Yiddish folk tunes in shtetls across Poland and Ukraine, the so-called Pale of Settlement. Beyond presenting Polish artists, the Jewish Music Festival will feature lectures and symposia about the impact Polish Jews had not only on Polish culture but on diaspora Jewry, as well. 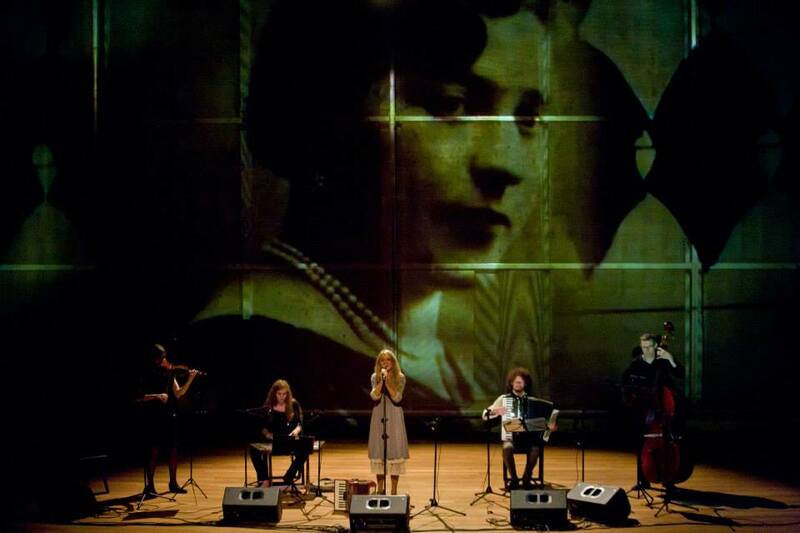 Mielesczuk, a classically trained pianist-turned-singer of Slavic folk tunes, discovered East European Jewish folk music six years ago at, of all places, Auschwitz-Birkenau, where she was taking part in a Holocaust memorial event. She sat by the infamous train tracks on which cattle cars filled with human cargo once rolled. There she encountered a Hassidic rabbi chanting prayers. The haunting melodies intrigued her and she joined in. That was the beginning of her love affair with the lost Jewish music of Poland. While attending the 2009 Krakow Jewish Music Festival, Mielesczuk met Shapiro, who then introduced her to Barbara Kirschenblatt-Gimblett, a Yiddishist and curator of Warsaw’s Museum of the History of Polish Jews, due to open next year. 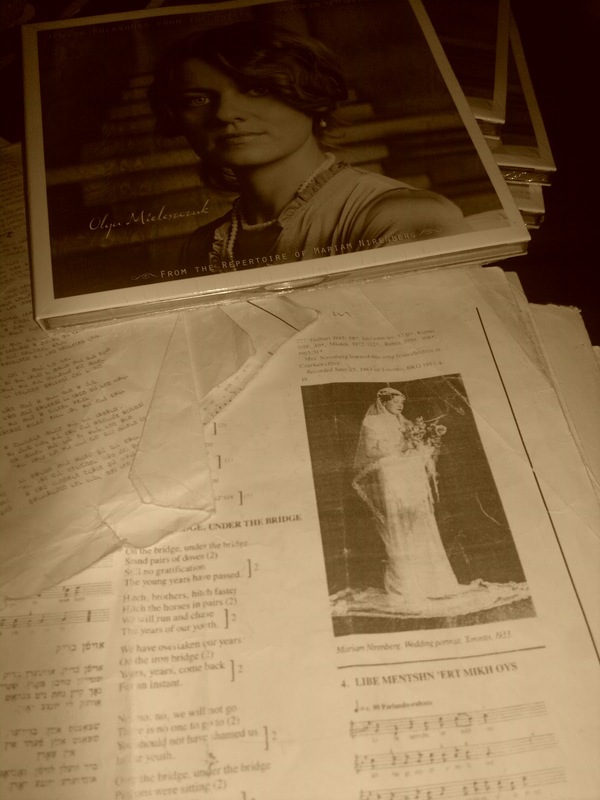 Through that friendship, Mielesczuk discovered the music of Mariam Nirenberg, a Polish Jew who immigrated to Canada in the 1930s, bringing with her a trove of folk tunes. 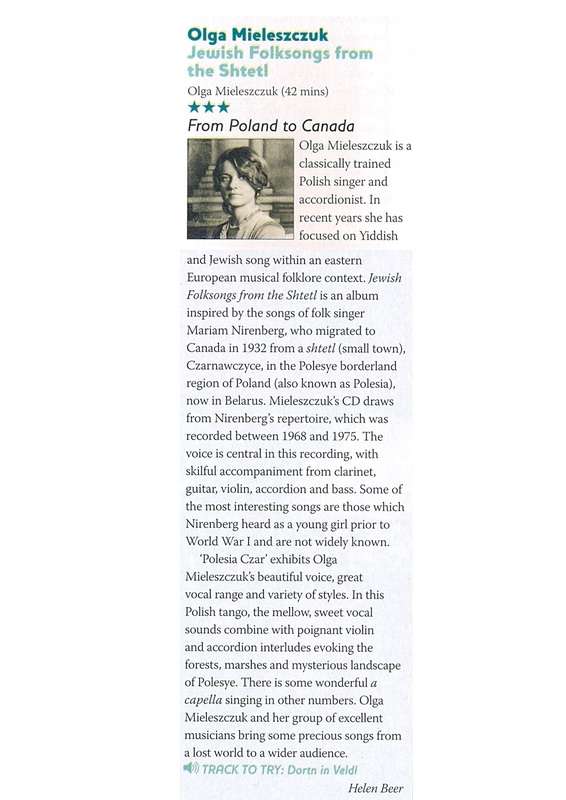 Rare mid-20th-century Nirenberg recordings opened up to Mielesczuk a new world of Yiddish folk music. After moving to Israel 18 months ago, Mielesczuk practiced singing Nirenberg’s songs in the cypress woods near her Jerusalem neighborhood. It wasn’t quite the forbidding forests of the Pale, but those sojourns helped the singer connect with the music. 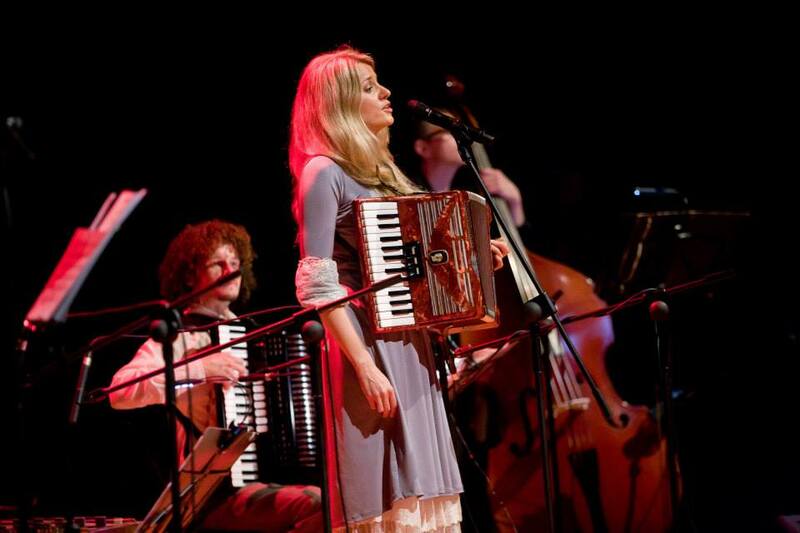 After forming her quartet last year, she recorded a debut CD, “Jewish Folksongs from the Shtetl,” on which Mielesczuk sings and plays accordion. 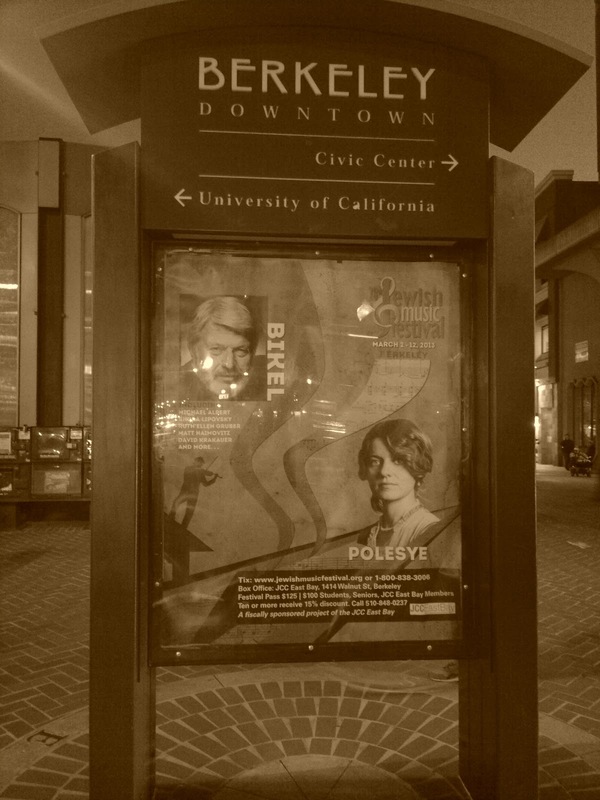 For the festival, members of the East Bay–based klezmer trio Veretski Pass will join Mielesczuk and Polesye on stage. And while Polesye plays it old school, Shofar is as new school as it gets. The Warsaw-based guitar-drum-sax trio churns out free jazz improvisations reminiscent of the dissonant chaos of Pharaoh Sanders, Albert Ayler and late-era John Coltrane. Their music is a hot mess of jazzy goodness, with a Polish Hassidic twist thrown in. For Shofar’s debut 2007 CD, the band delved into the Yiddish tunes collected by Moshe Beregovski (1892-1961) a Ukrainian ethnomusicologist who specialized in Yiddish folk songs, nigunim and klezmer. From 1929 to 1947, he traveled across Ukraine, completing some 2,000 recordings on 700 old-fashioned phonograph cylinders that managed to survive World War II. Shofar has played across Europe and Israel, but the band’s fans are not the only ones impacted by the music. Trzaska, who grew up in the communist era and knew little about Judaism, rediscovered his heritage through the Beregovski songs. Trzaska notes the resurgent Jewish pride typifies a transformed social landscape where ethnic Russians, Ukrainians, Jews and others recast Poland as a multicultural haven. That’s not to say that the virulent brand of anti-Semitism that existed in Poland for centuries has been completely eradicated. Festival director Shapiro, who applauds the progressive changes she has witnessed in Poland, knows there is more work to be done. 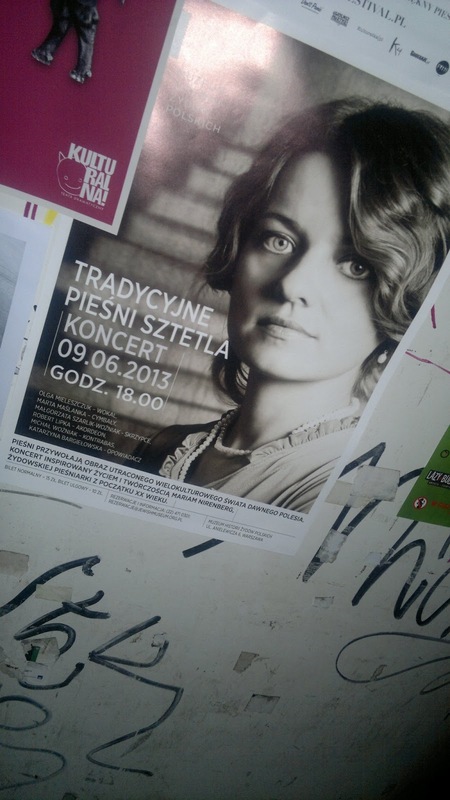 She means the many Jewish music and culture festivals — Krakow’s being the largest in Poland, if not the world. The celebration draws hundreds of thousands of people (mostly non-Jews) annually. The Jewish renaissance in Poland is going so well, Shapiro believes the Poles can teach American Jews a thing or two about history. In Poland, Trzaska and his band are happy to celebrate Jewish culture, though he acknowledges it will never be the same as it was before the Holocaust. 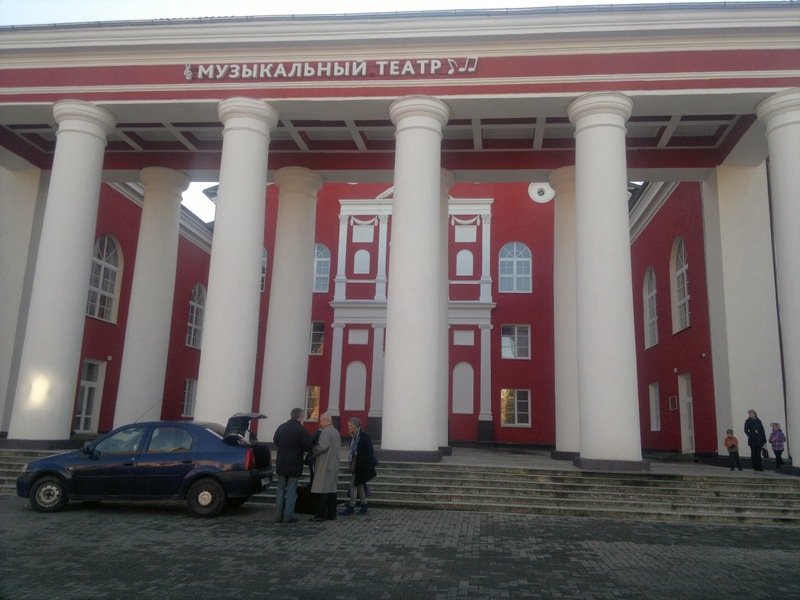 On a recent national tour, Shofar performed a gig in a Polish town near the Belarus border. The venue that night: a long-abandoned synagogue that once served as the hub of a bustling Jewish community. It has stood empty for decades. With the concert, however, Jewish music once again echoed in the sanctuary. After the Jewish Music Festival gig in Berkeley, Trzaska wants to play in more abandoned synagogues and do what he can to bring them back to life. "The Rich Past and Edgy Future of Jewish Music Live at Lincoln Center"